Must be 48" tall to fly. 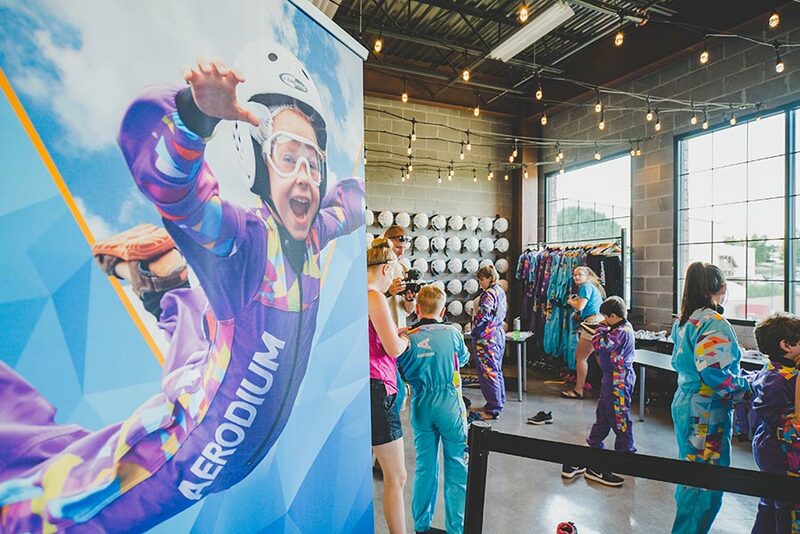 Fritz’s Aerodium flight packages include 40-minute flight experience, a stunt demonstration, flight school, safety equipment and a formal flight lesson, and actual flight time. 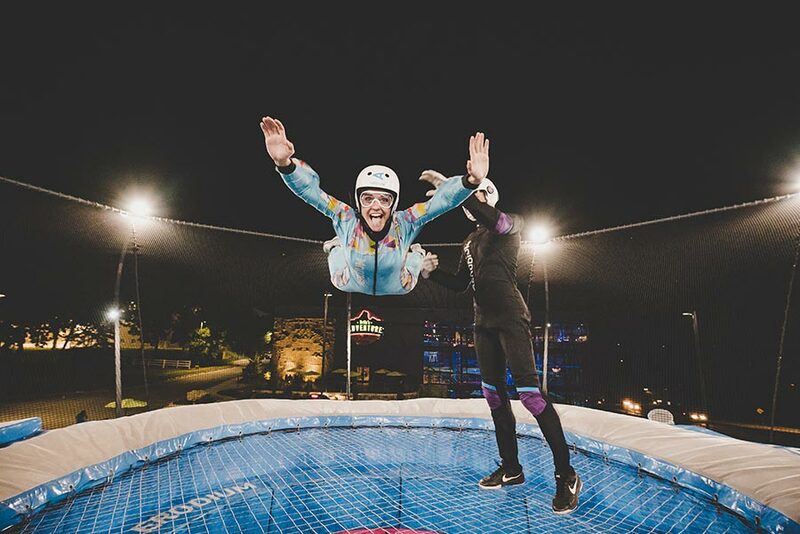 The vertical, open-air wind tunnel generates winds upwards of 140 miles per hour, allowing guests to fly under instructor supervision. The attraction is open to visitors ages four and up, with no previous experience required. 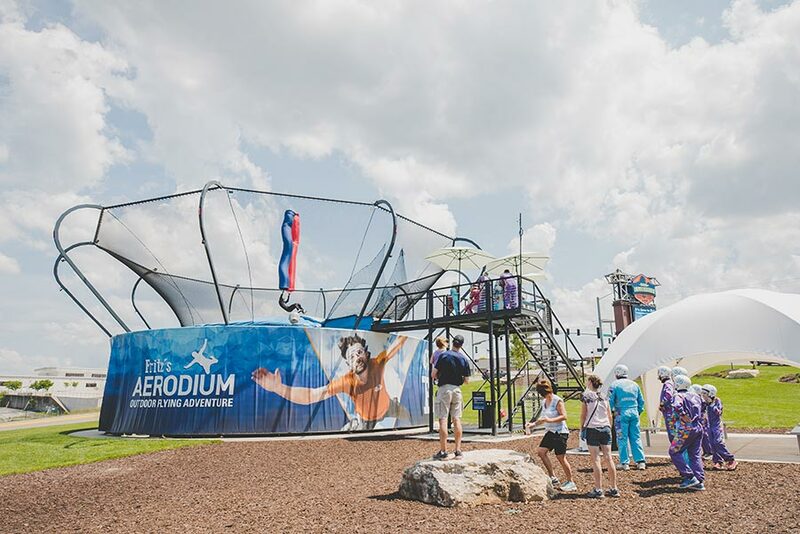 Fritz's Adventure Park in Branson, Missouri is the first US company to bring a permanent AERODIUM open tunnel to the USA. 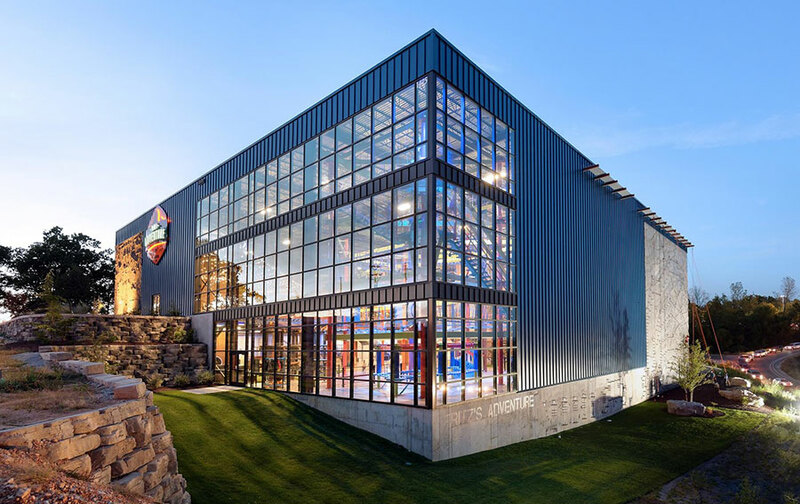 The multi-attraction entertainment center offers a unique atmosphere where visitors can enjoy a ropes course, underground tunnels, laser room, climbing wall, slides and more. The addition of AERODIUM will take Fritz's to the next level. 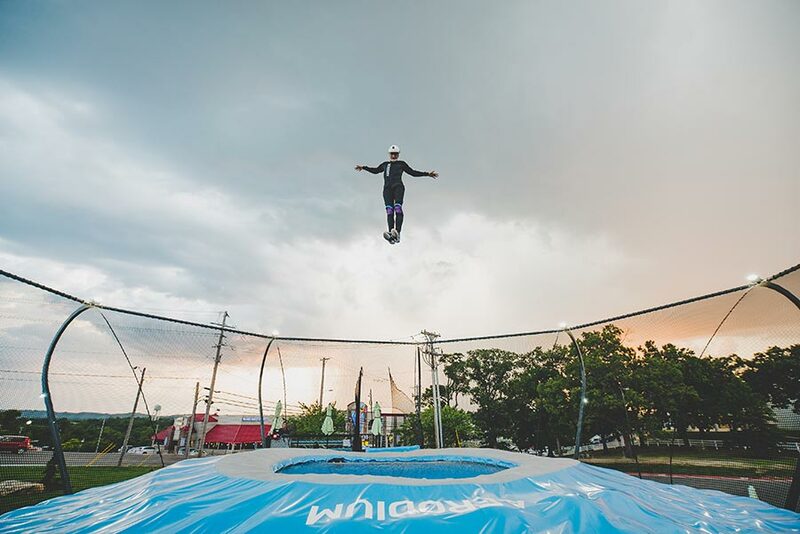 Visitors to this open air wind tunnel are in for a treat as they can experience the thrill of flying without walls. This location opened on June 6th, 2018! Average rating of 4.3 from 3 review(s). Our 11 year old grandson had a blast in the aeroduim. The instructor was great. My husband and I had fun watching our grandson fly. Kids had a great time, flight assistant was awesome and super nice. The only downside is the price. You do have an option after your first flight to take a second for only $25. $25 is much more reasonable than $50. 3 star for the high price.